ORLANDO, FL. – The 60th annual PGA Merchandise Show teed off with a massive Demo Day on Wednesday but Chicago club manufacturer Tour Edge got a jump on the opposition a day early. The Batavia-based company, in its eighth annual Multi-Manufacturers Media Day outing at the Legacy Club, introduced its first variable-fit driver. It was just one in a line of new products unveiled by Tour Edge president David Glod, but it drew the most attention. Tour Edge isn’t the first company to test variable-fit clubs. Putter manufacturers were the first to do it, and now it’s spreading throughout the industry. 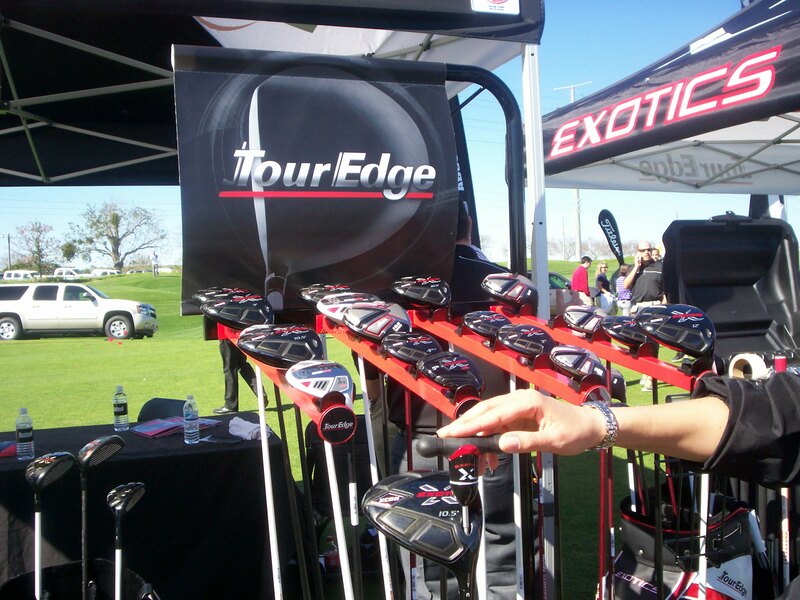 With Tour Edge’s Exotic line of clubs (shown above) a players can change the loft, face angle and shaft. Glod accepts the trend toward such state-of-the-art equipment and believes it’ll be around for awhile. Training devices are also getting increasingly high-tech. Sky Golf, a pioneer in developing electronic yardage books with its Sky Caddie, now also offers Sky Pro – a swing analyzer that the company bills as “one of the most exciting products in golf today.’’ Many more were on display, in a series of colorful displays (pictured above), at the Demo Day lead-in to the PGA Merchandise show. And then there’s Polara, a company not reluctant to admit that it’s equipment is usually “non-conforming’’ with the rules of the U.S. Golf Assn. 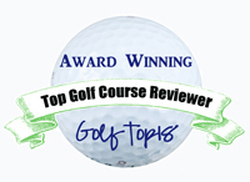 Polara drew plenty of attention with its no-slice golf balls. Now president David Felker said Polara is going into wedges, the first of which will be on the market before the year it out. Polara says its wedges “will help the ball spin more,’’ and Felker admits “it’s very unlikely’’ that they will conform to USGA specifications. Still, the company believes it’s helping golf grow by making it an easier game for the estimated 85 percent of players who don’t carry USGA handicaps. 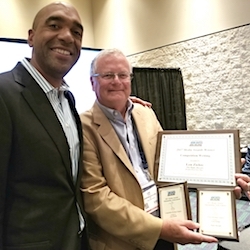 To that end Polara is joining forces with the new Recreational Golf Assn. of America to push its products with more casual golfers. The big show has plenty of golfers of all shades of interest. Over 40,000 will attend the three days of exhibits at the orange County Convention Center. Attendees will come from about 75 countries and walk down 10 miles of show alleys to check out the products of more than 1,000 manufacturers and brands. 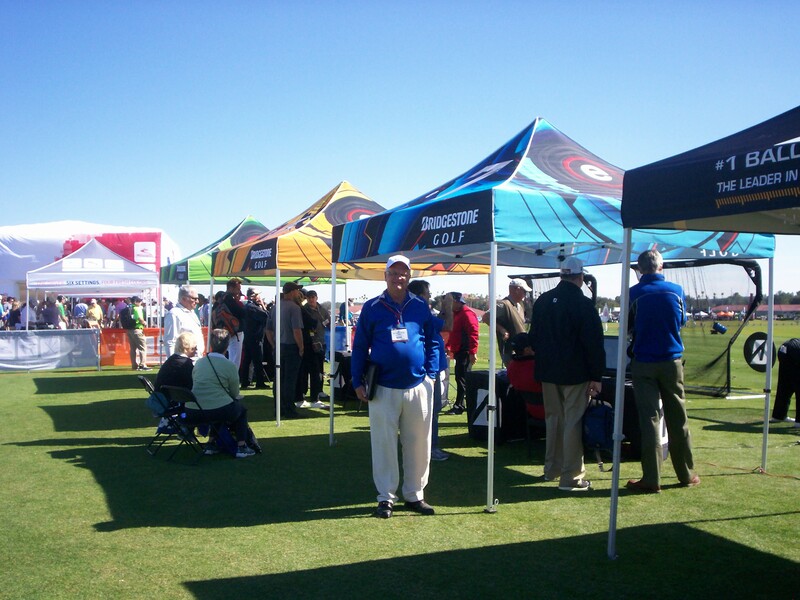 Wednesday’s Demo Day, held at the Orange County National Golf Center in Winter Garden, drew out over 100 manufacturers. The Center has a circular range with 200 hitting bays spread over a 42-acre practice facility. All the top manufacturers, including Chicago-based Wilson Sporting Good and Tour Edge, had the wares on display at Demo Day. So did other major manufacturers Bridgestone, Callaway Cleveland/Srixon, Cobra Puma, Mizuno, Nike, Ping, TaylorMade and Titleist. 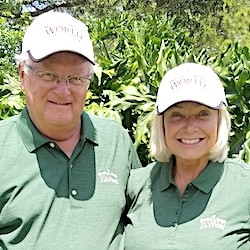 Stars players past and president will also be making appearances, among them Davis Love III, Annika Sorenstam, Ian Poulter, Luke Donald, Lexi Thompson, Lee Trevino and Nancy Lopez. 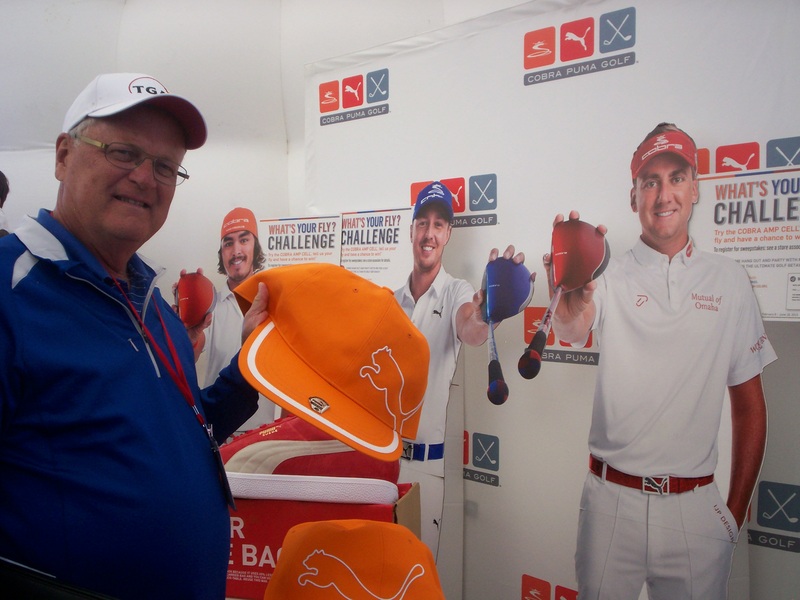 Ricky Fowler had a big presence — or at least his hat did. An enlarged replica of Fowler’s orange headgear enticed lots of picture takers — even though Fowler wasn’t there.